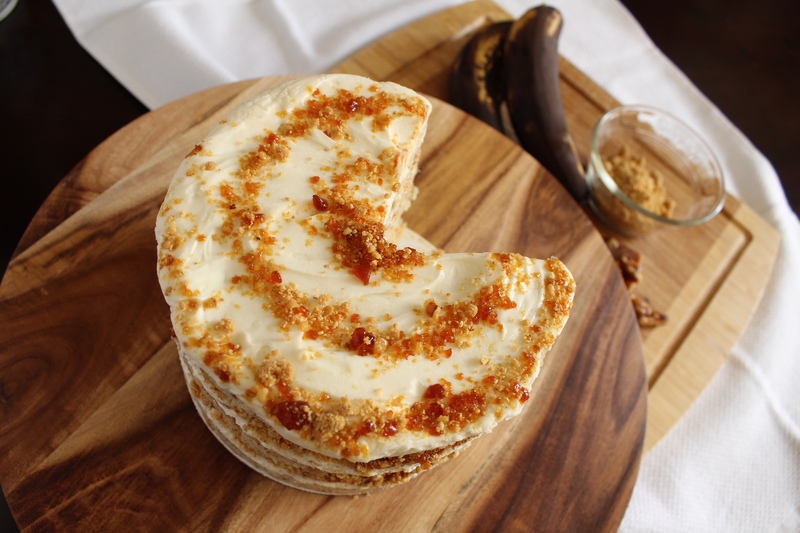 This banana cake was sooooo good! I usually make banana bread from overripe bananas, but this time I wanted to try something a little more special. But first, let me tell you a little bit about where my inspiration came from…. My true comfort foods will always be Japanese and Korean rice dishes. I like to ask people in my family whether they would give up rice or noodles if forced to choose, and most of them say they’d give up rice and keep the noodles. As for me, I could NEVER give up rice. 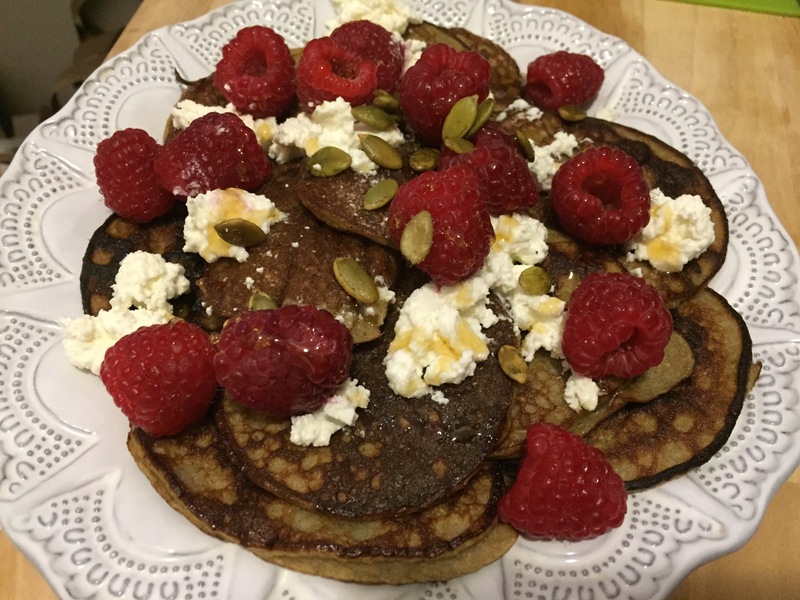 I can eat it for breakfast, lunch, dinner, and, as I’ve recently learned, as a midnight snack after a night of drinking (just heat it up with some butter, soy sauce and sesame oil – it’s the best!!!). 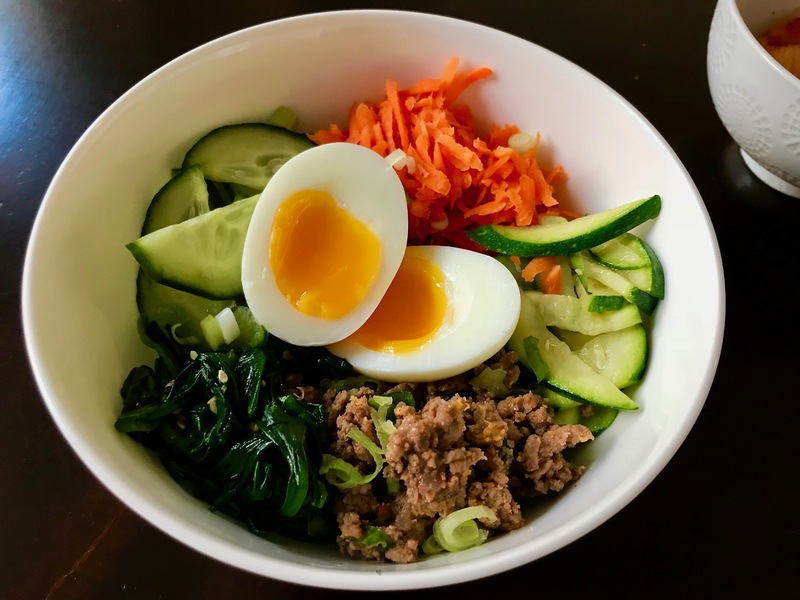 One of my favorite rice dishes is the Korean classic bibimbap. At Korean restaurants, I love getting it in a dolsot pot, which makes the rice on the bottom and sides all crispy. Mmmm soo good, definitely the best part. Also, bibimbap is packed full of vegetables so I never feel bad going to town on it. I first tried Shakshuka at the French restaurant across the street from my apartment. 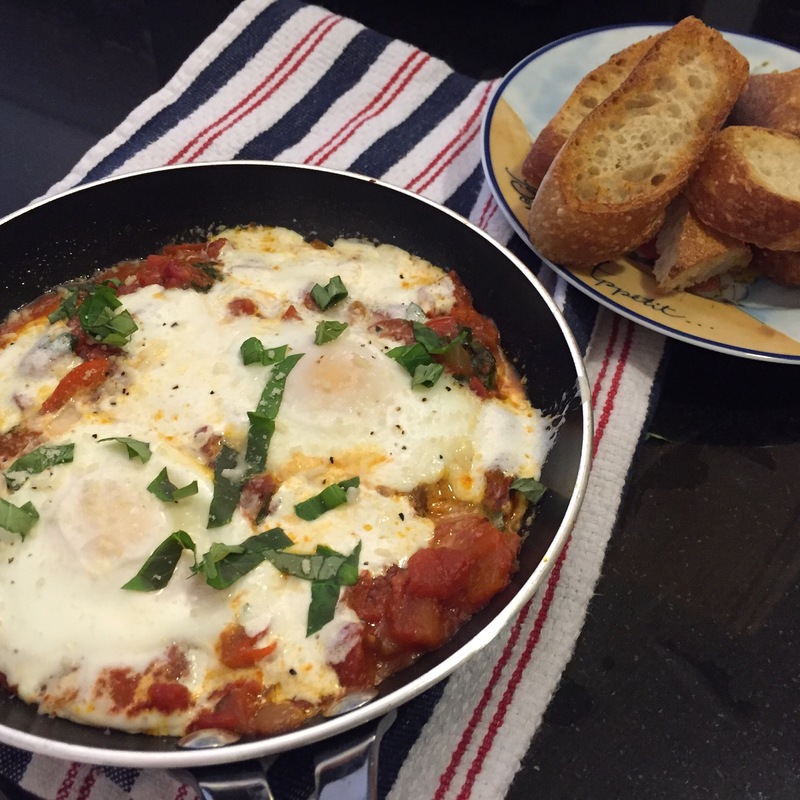 The idea of eggs baked into tomato sauce with peppers sounded very appealing, and I love dishes where dipping bread is an essential part of the meal (cioppino, bouillabaisse, chili, etc.). I loved it, and so I set out to make my own at home. Summer is here! And so was National Doughnut Day! All day on Friday, my Instagram feed was bombarded with the most delicious looking doughnuts. I kept seeing posts with details for where you could score some free ones, but alas I remained at my desk. Then, after a wallet-friendly dinner of leftovers, I decided to venture to the west side to visit the Dominique Ansel Kitchen. I had been trying to make it here for several weekends, entirely to try the burrata soft serve that had also been teasing me over Instagram, but I unfortunately confused the Bakery with the Kitchen and found an unreasonably long line for pastries I wasn’t even looking for. So, finally I learned that the ice cream window is located next to the Kitchen, and we headed off for a Friday night treat. 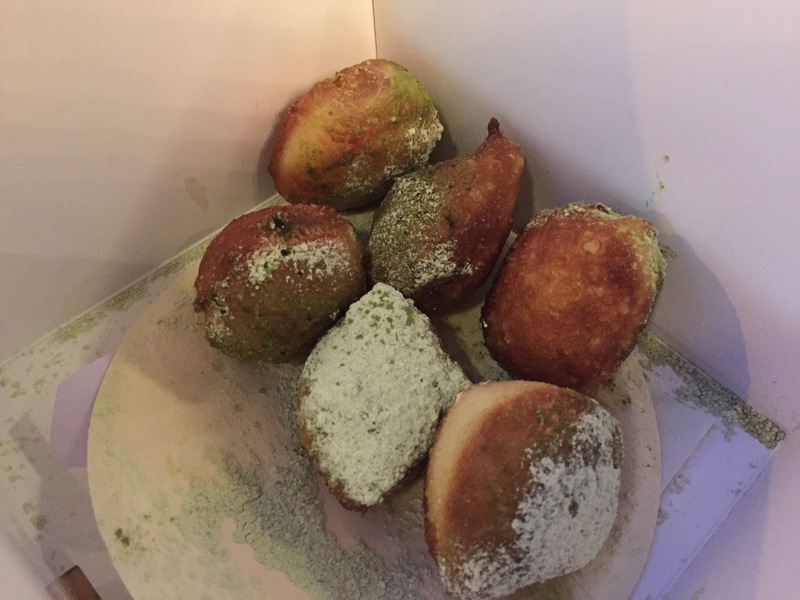 Like I said, I was just there for the ice cream, but then Rich pointed out a display of adorable matcha beignets…..and I thought to myself, “OH MY GOSH, I’M ACTUALLY GOING TO SUCCESSFULLY PARTICIPATE IN NATIONAL DOUGHNUT DAY!!! !” After a long day of debating stopping to pick up doughnuts on my way home from work, this made my self-restraint totally worth it. 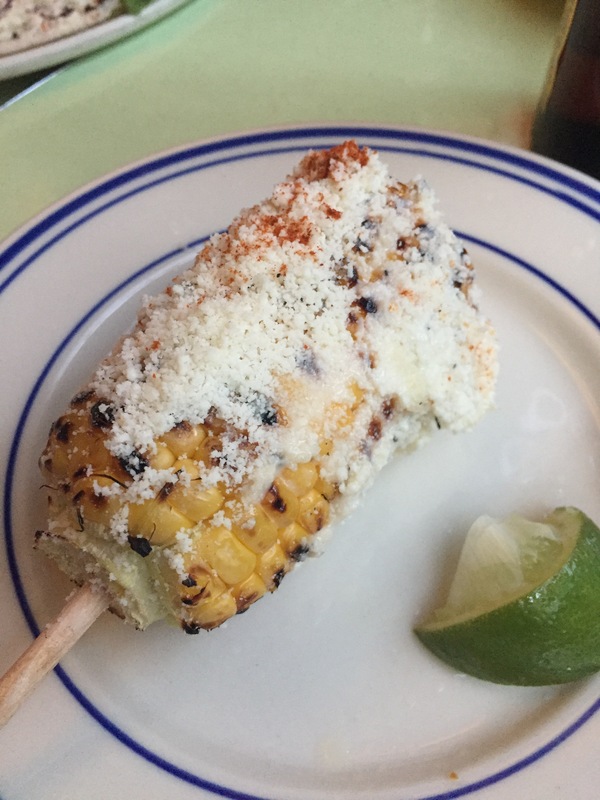 After a quiet night in on New Years Eve, I went to Murray’s Cheese Bar in the West Village with hopes of starting 2016 off with a great first meal. I was not disappointed in the slightest…. 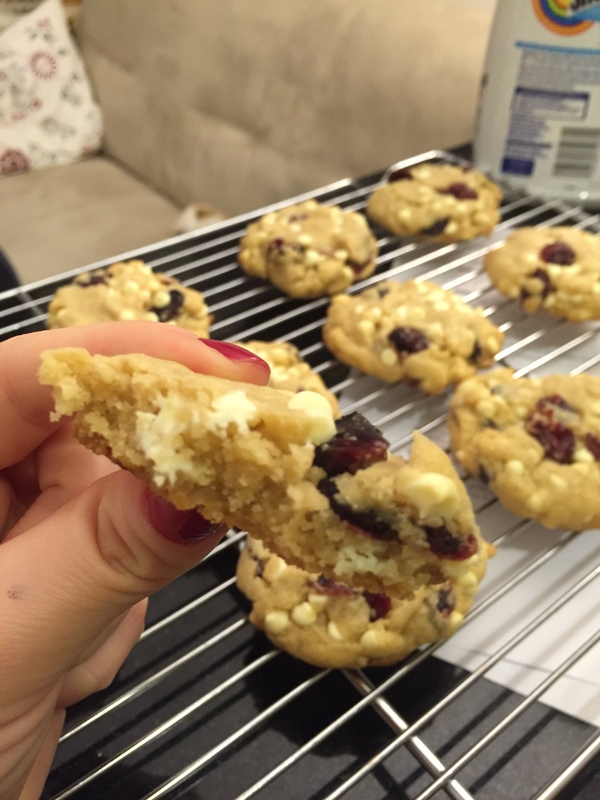 As a favor to my dear friend Kate, here is a step-by-step tutorial on making some pretty delicious white chocolate cranberry cookies. First, measure the amount of butter you need (12 Tbs – one stick is 8 Tbs) and let it sit outside the fridge until it is soft (at least 15 minutes). 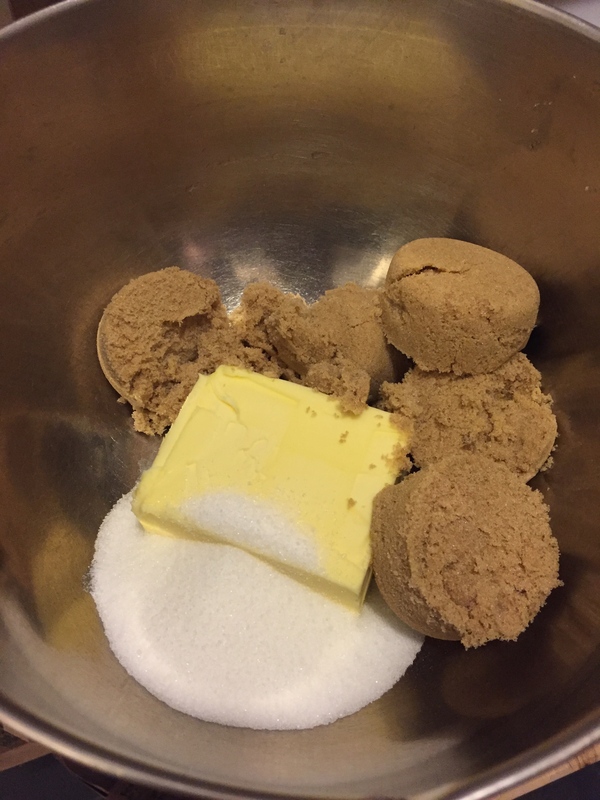 I threw the light brown sugar and regular sugar in with the butter as I waited for the butter to soften. 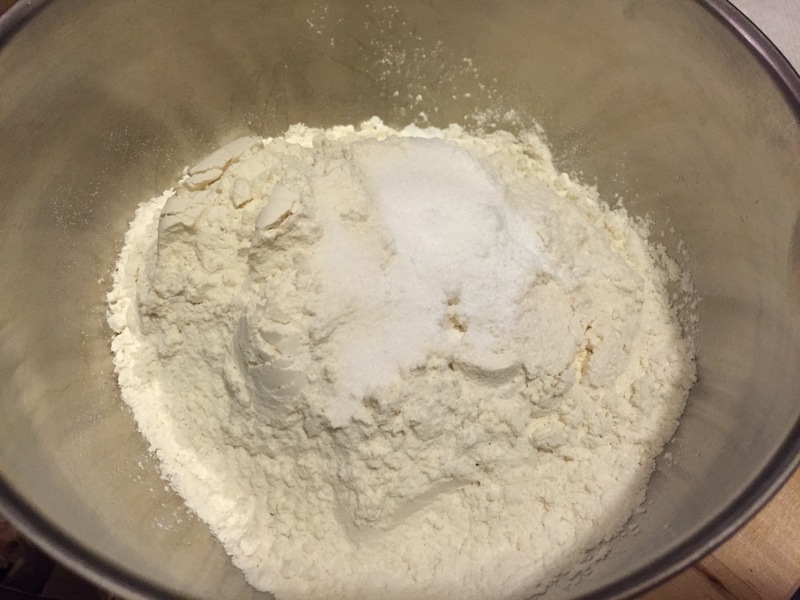 Next, I measured out the dry ingredients into a separate bowl – 2 1/4 cup flour, 3/4 tsp baking powder, 3/4 tsp salt, 1/4 tsp baking soda. Mix it all together with a fork or whisk. So here you have everything ready to go to build your dough. It’s good to measure everything out before you start mixing. Once you are ready to begin, preheat the oven to 375 degrees. With a hand mixer or stand mixer, cream the butter and sugars. 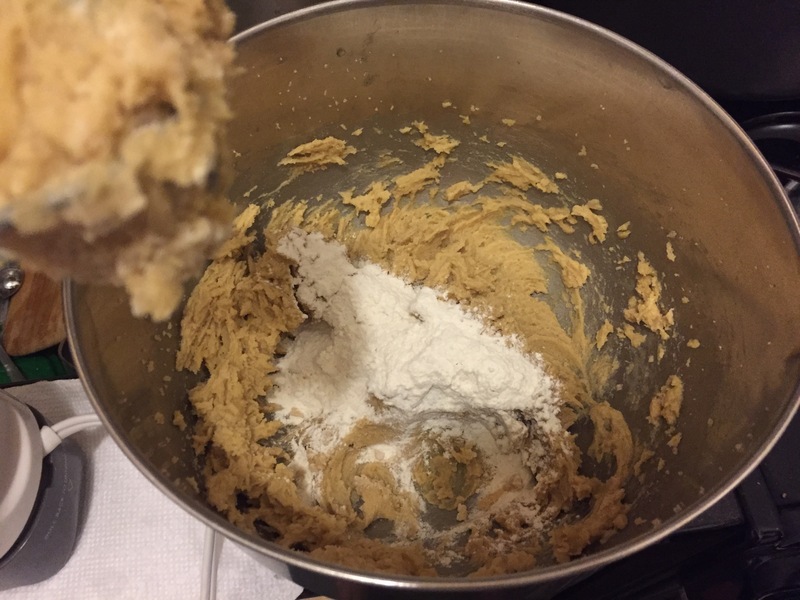 Start your mixer speed on low, so the sugar doesn’t go flying everywhere, and once it is incorporated you can increase the speed to about medium. 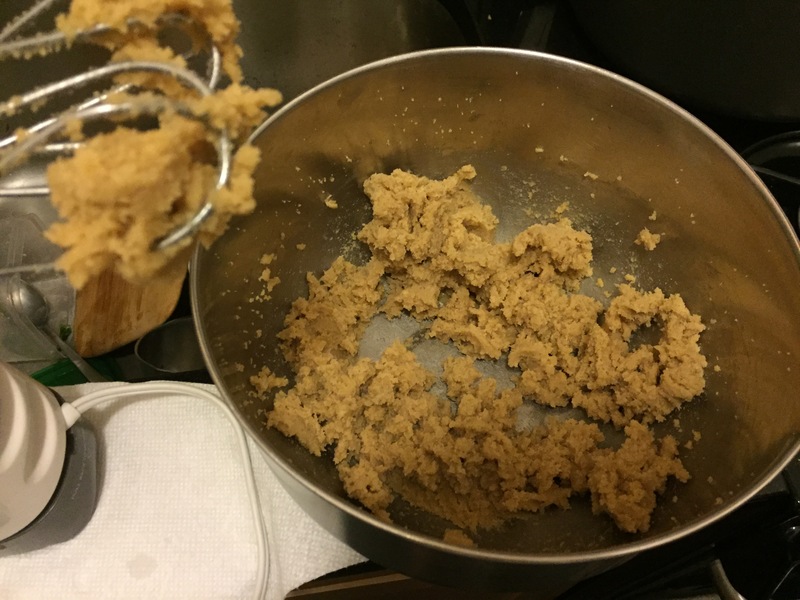 Once the sugar is fully incorporated into the butter – add the egg and almond extract. 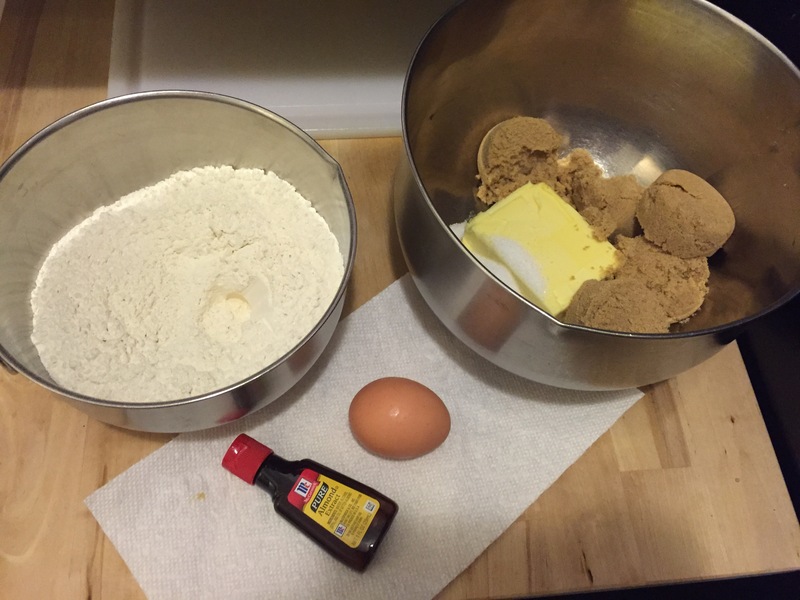 To avoid dropping any pieces of shell into the dough, crack the egg into a small bowl and then pour it into the mix. 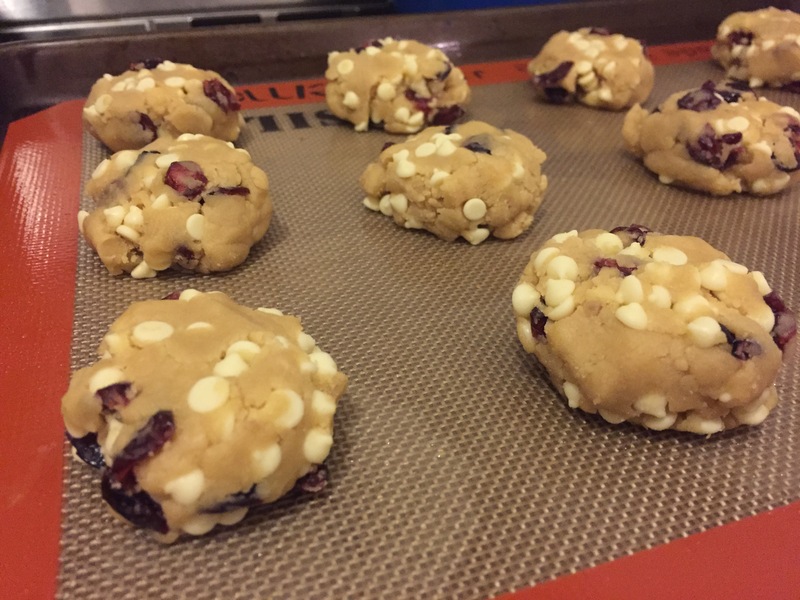 Once you have incorporated the egg and almond extract (which btw is the secret ingredient to these cookies), slowly start adding the flour mixture. I like to add about 1/2 a cup at a time. Mix on low so the flour doesn’t go flying. Once the flour you’ve added has been incorporated, add a bit more flour, mix and repeat. 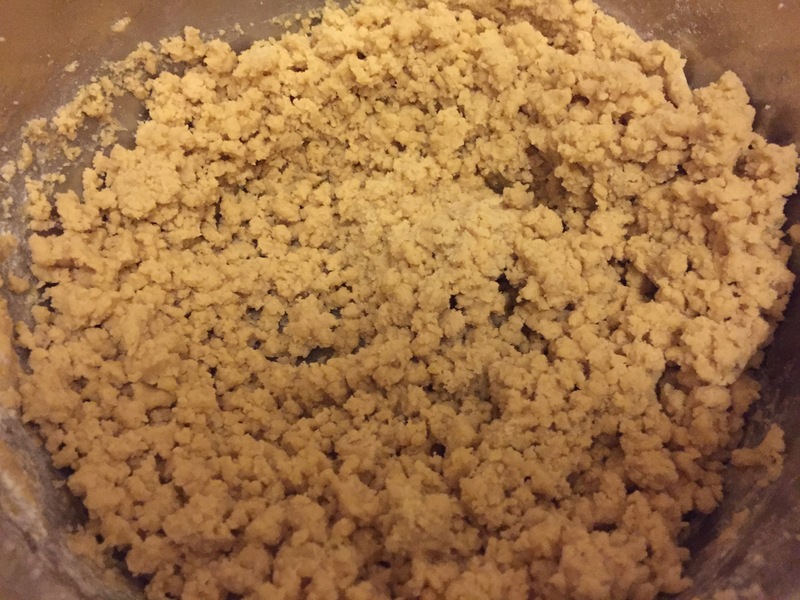 You will end up with this crumbly mixture. 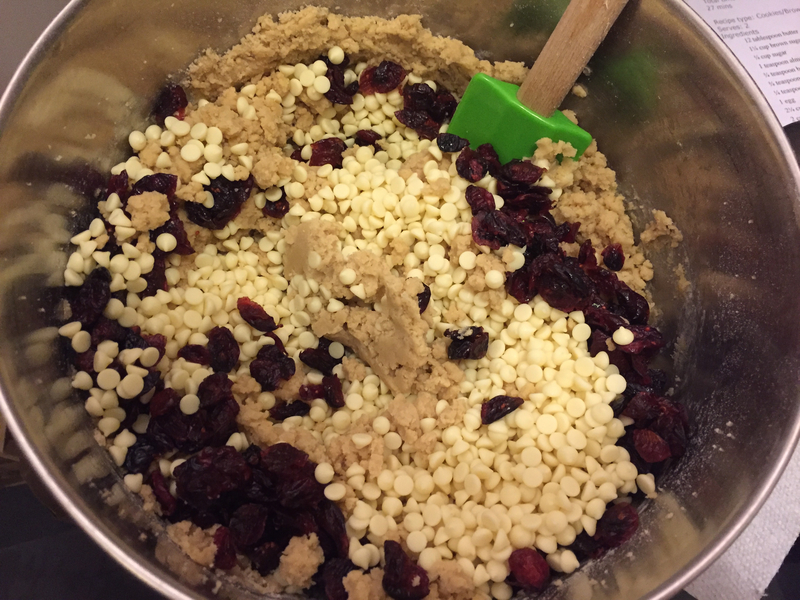 Now add the white chocolate chips (2 cups) and dried cranberries (1 cup). 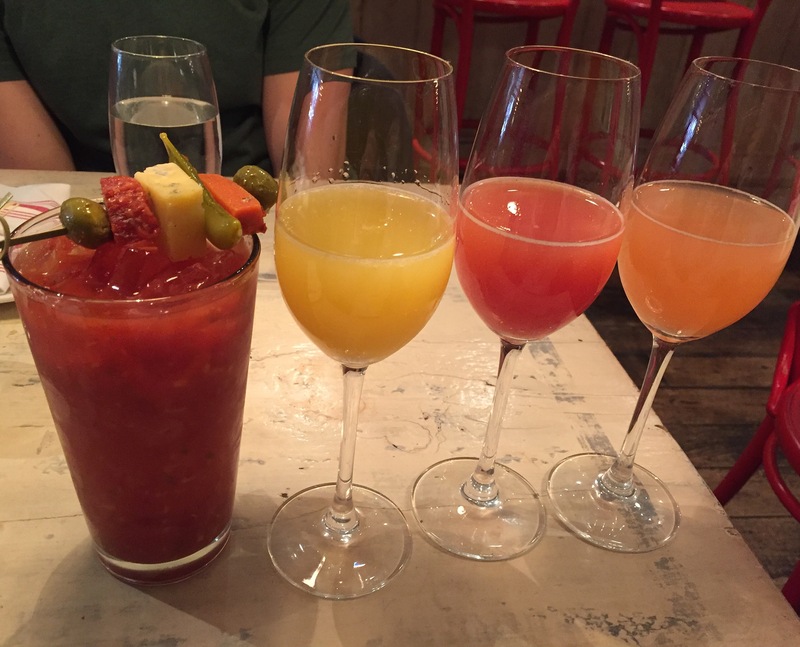 Mix with a spatula and try to evenly distribute everything. Line a baking sheet with parchment paper. Now it’s time to scoop and roll the dough. You can use a tablespoon to help you. 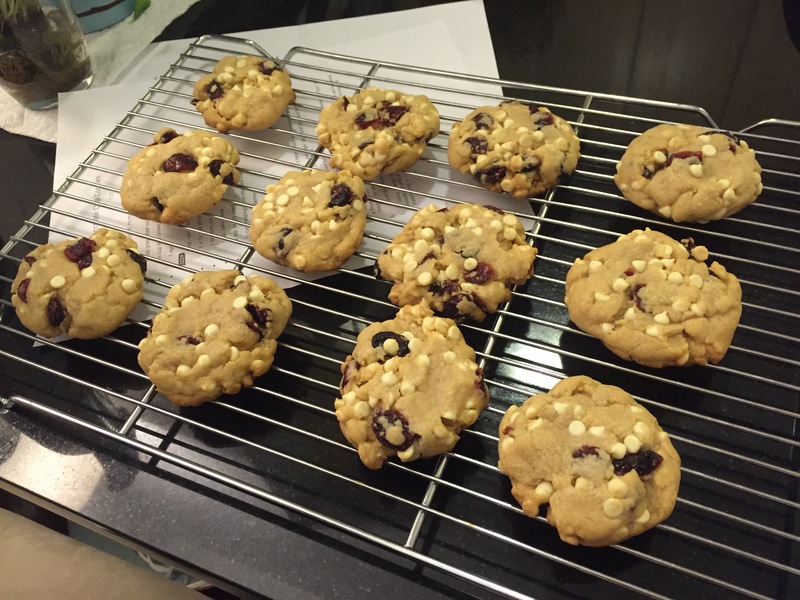 I’d say these cookies were about 2 Tbs worth of dough each. Roll the ball between your palms, place on the cookie sheet, and slightly flatten. Now it’s baking time! Put the cookies in the center rack in the oven and bake for 12 minutes exactly. Set a timer. 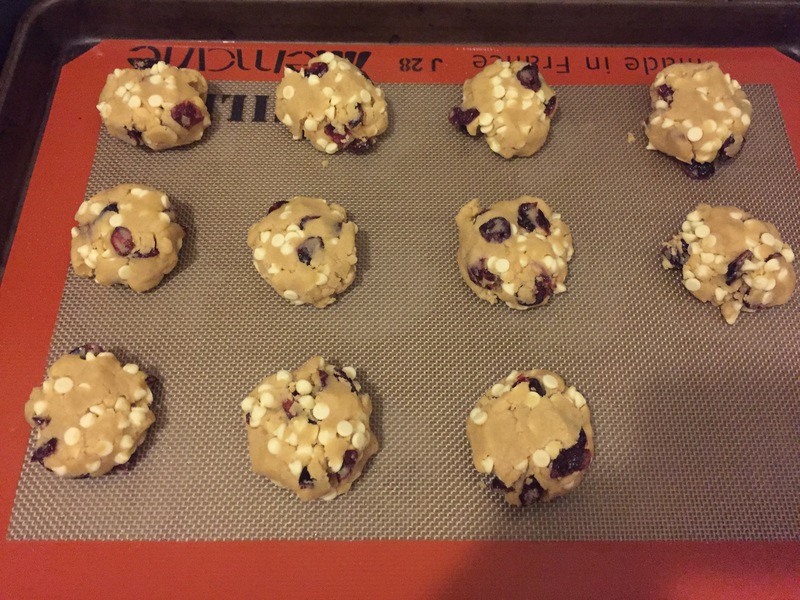 After 12 minutes, take them out and let them cool on the cookie sheet for 5 minutes. Then, transfer them to a cooling rack. And there you have it! 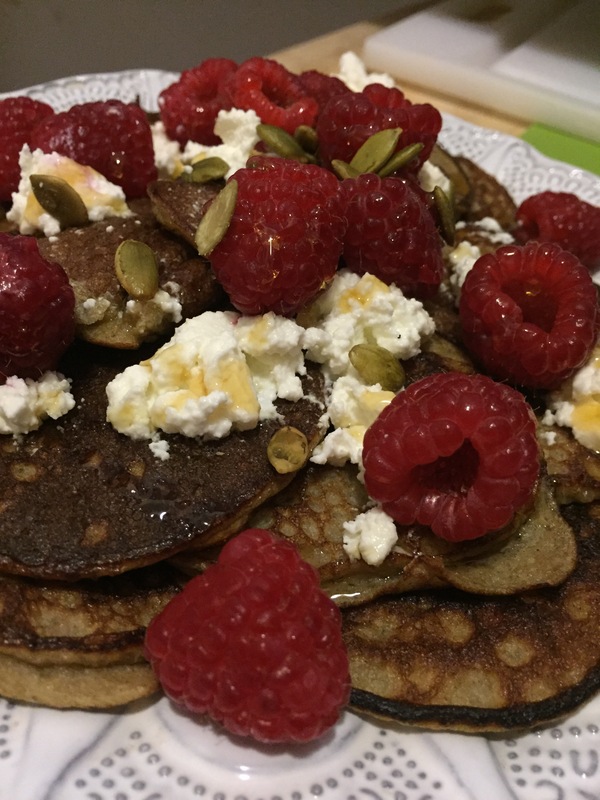 These really were delicious – slightly crisp on the edges but still soft and chewy in the middle. 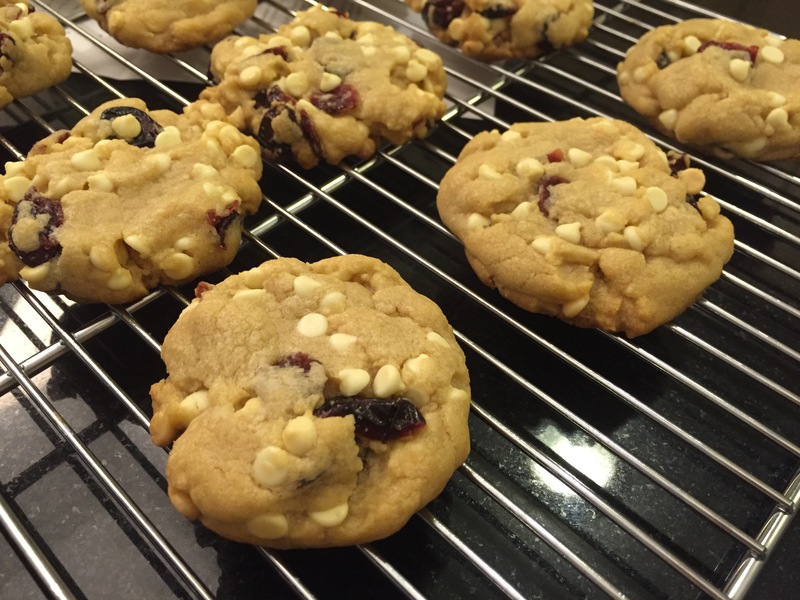 And white chocolate and cranberries go so well together, especially with that almond extract. I brought them in to work, sent an email at 9:15 letting people know, and by 10:30 they were gone. For this Flashback Friday post, I’m taking you back to May when our family was on the Disney Fantasy sailing around the Caribbean. 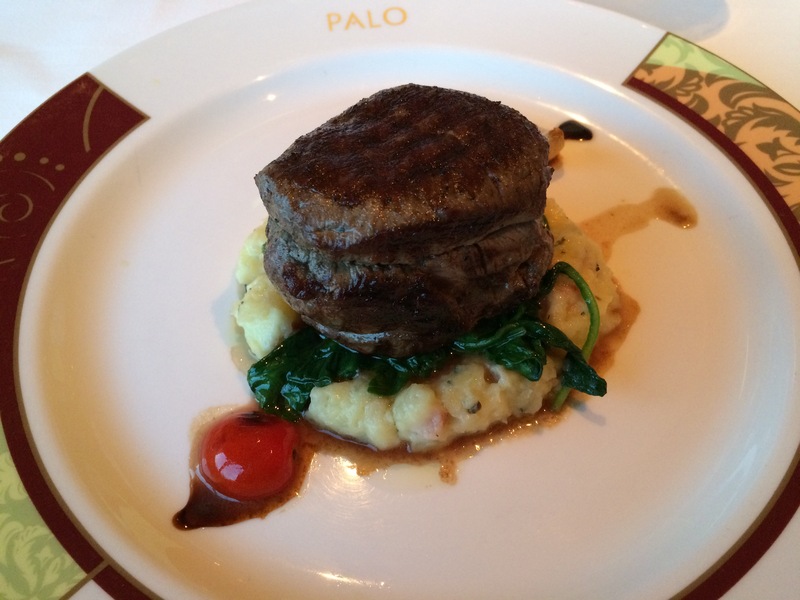 On our last night of the cruise, we dined at Palo, one of the ship’s adult-only-reservation-required restaurants, and it was an amazing meal to conclude a great family vacation. This picture above is the entrance into the restaurant. The theme of the entire restaurant draws upon the gondolas of Venice. The name “Palo” itself recalls the poles used to steer the gondolas through the infamous canals of Italy’s floating city. This ceiling decoration is blown glass from Murano that is meant to evoke pasta – how appropriate! Our server was phenomenal and prepared this enticing appetizer plate for us. 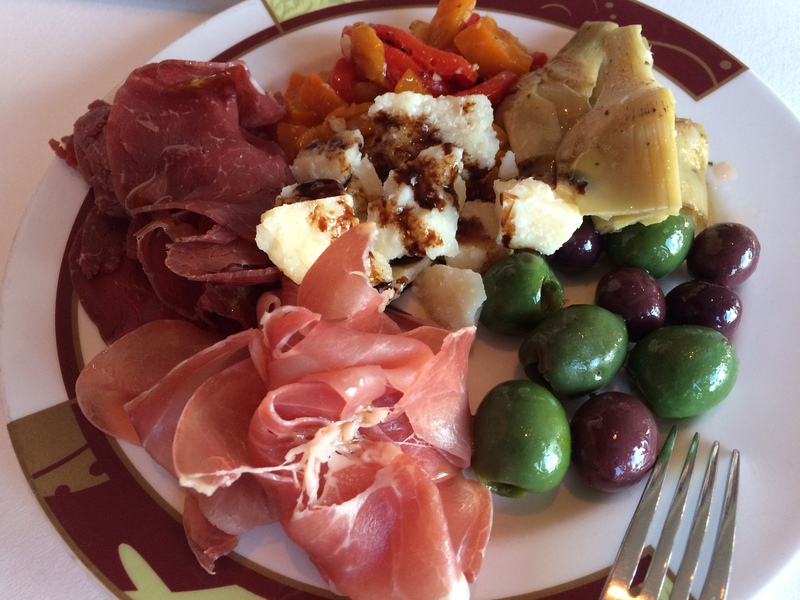 It featured two types of cured mean – bresaola and prosciutto – huge chunks of parmesan cheese, marinated bell peppers, artichokes, and olives. We selected a rosemary olive oil to accompany the balsamic vinegar that was drizzled on top. 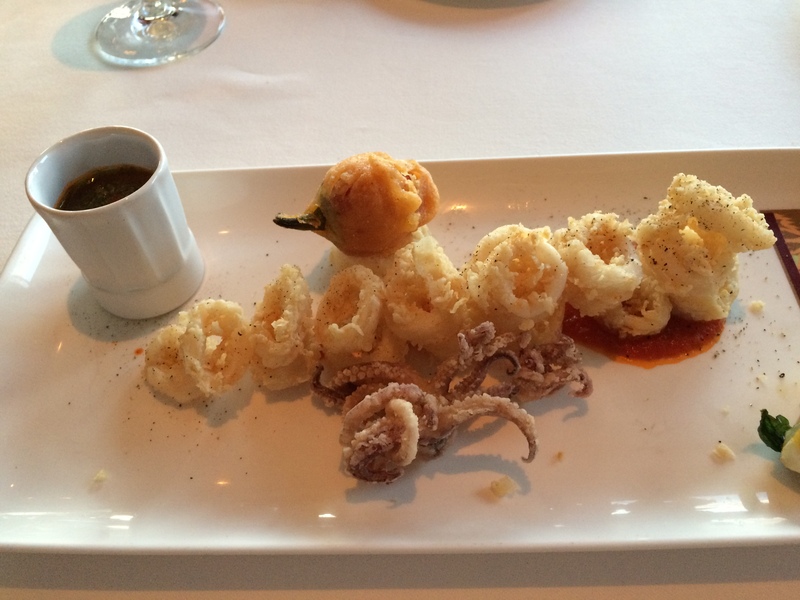 If ever I questioned whether Italian food is my one of my absolute favorite cuisines, this meal, and particularly this appetizer course, quelled any such doubts. All that is perfect about Italian food was present on this dish. 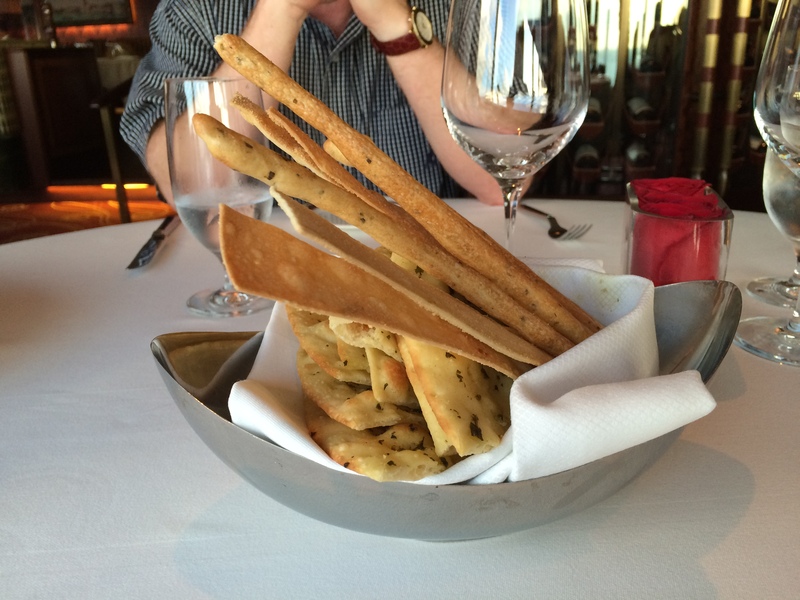 Oh, and yes there was bread too – served in a bowl evoking the shape of a gondola with breadsticks as the poles. The slice of pizza-like bread with herbs were phenomenal. It took so much self-control to not eat them all. This was quite possibly the best shrimp dish I have ever had in my life. And that’s a big statement. The shrimp itself was beautiful and sweet. But it was the mussel tomato sauce that sat underneath the shrimp that really blew me away. Finally, the drizzle of pesto was just phenomenal. 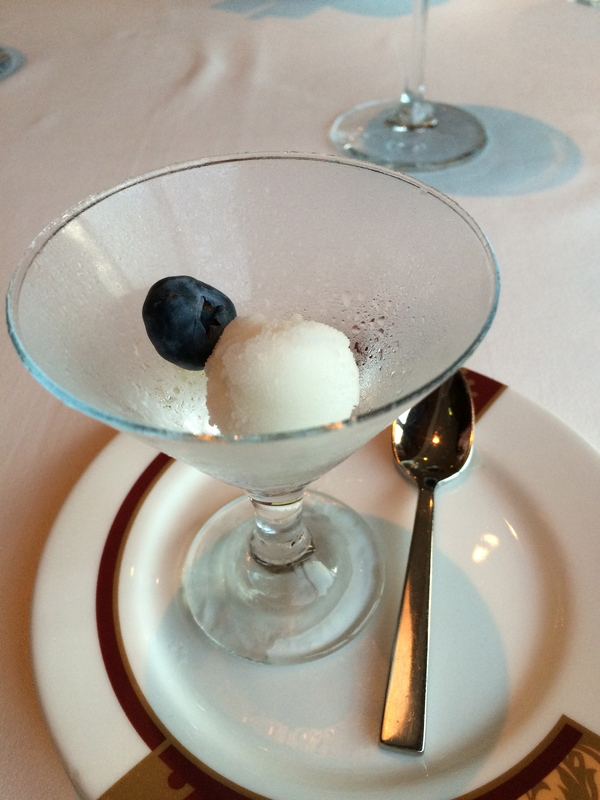 One of my favorite things at an impressive dinner is to be surprised by the palate cleansing sorbet course. Not only does it make me feel fancy, but it reminds me of The Princess Diaries. This was phenomenal. 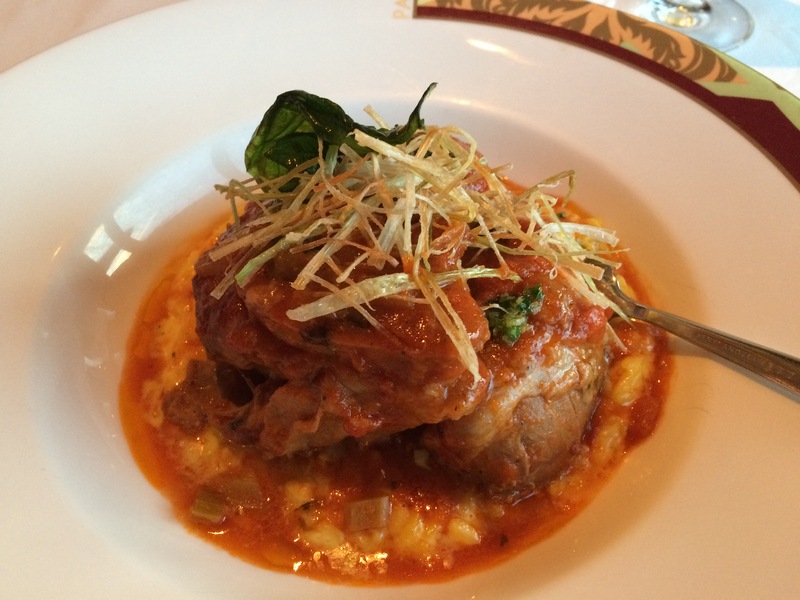 I’ve had classic osso buck in Italy, but THIS dish was indescribably amazing. The meat just melted in my mouth like butter, the sauce was fantastic, and the yellow risotto milanese was just to die for. And the best part – the luxurious rich bone marrow inside the bone. Seriously, this was so wonderfully delicious. 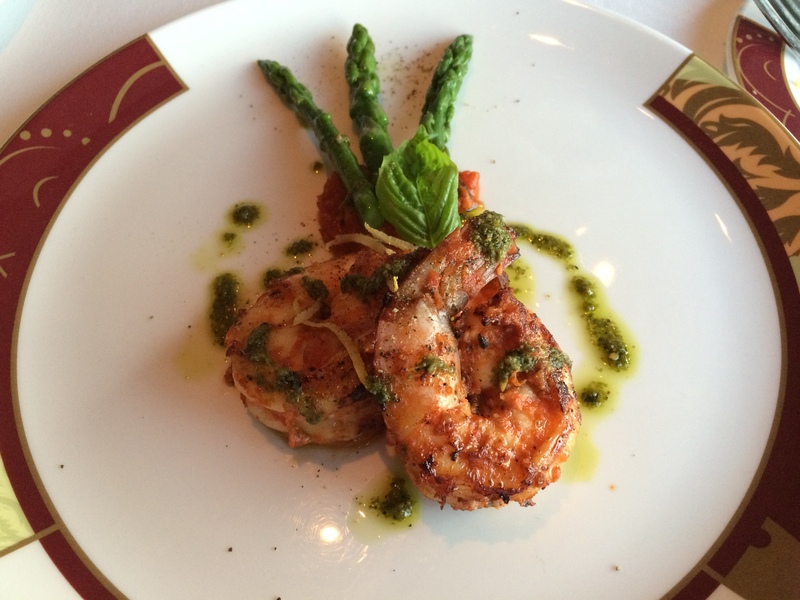 Possibly the best meal of the entire cruise. 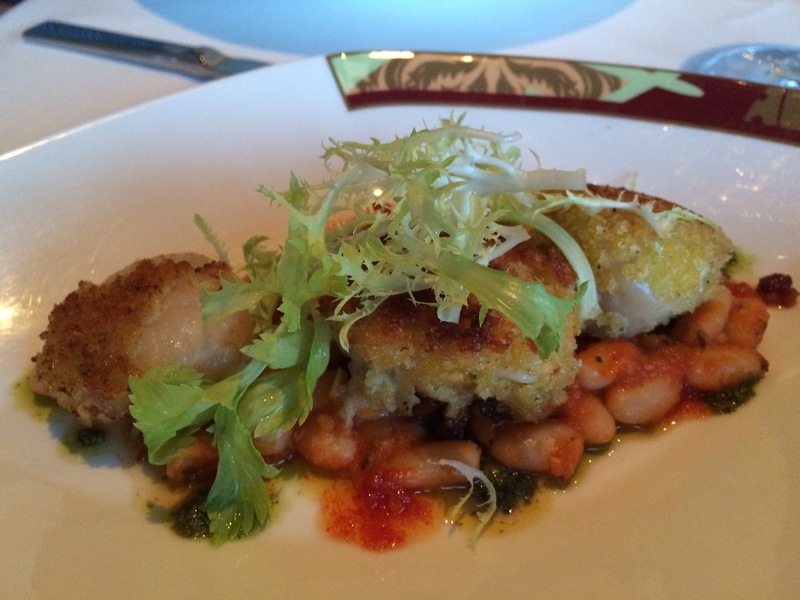 And because our server was amazing and didn’t want us to miss out on anything, he also brought us these beautifully crusted sea scallops with beans and pancetta in tomato sauce. This was one of those meals where they have to roll you home. Oh, and this beautiful cut of filet mignon was what my mom and sister got. Yup, it was insanely delicious too. No matter how full our stomachs were at this point, there was no way we were skipping dessert. 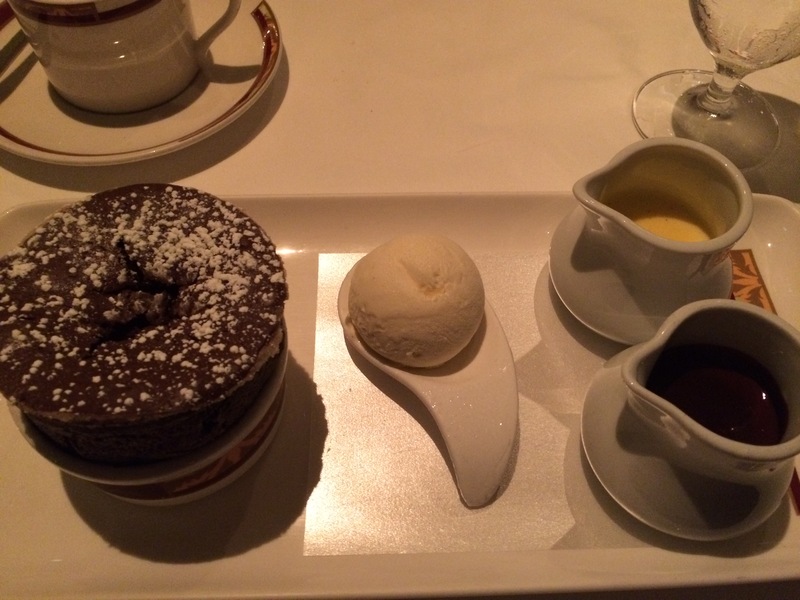 Especially when chocolate soufflé was on the menu. 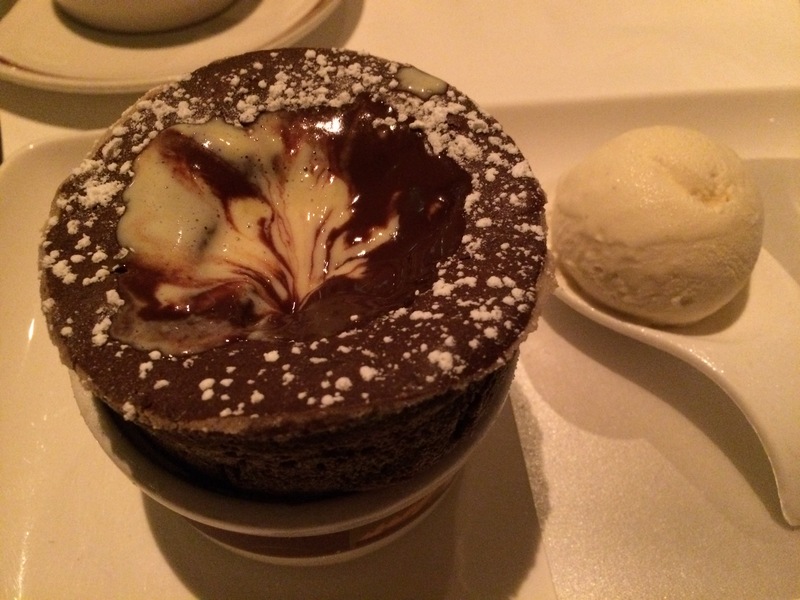 This was the chocolate soufflé of all soufflés. Perfectly risen, light and fluffy, just sweet enough . . . accompanied by a spherical scoop of vanilla gelato, and anglaise and chocolate sauce. What a beautiful sight. We each had our own. Yup. And because our waiter was super generous and wanted us to have every delicious bite possible, he brought us a second dessert. 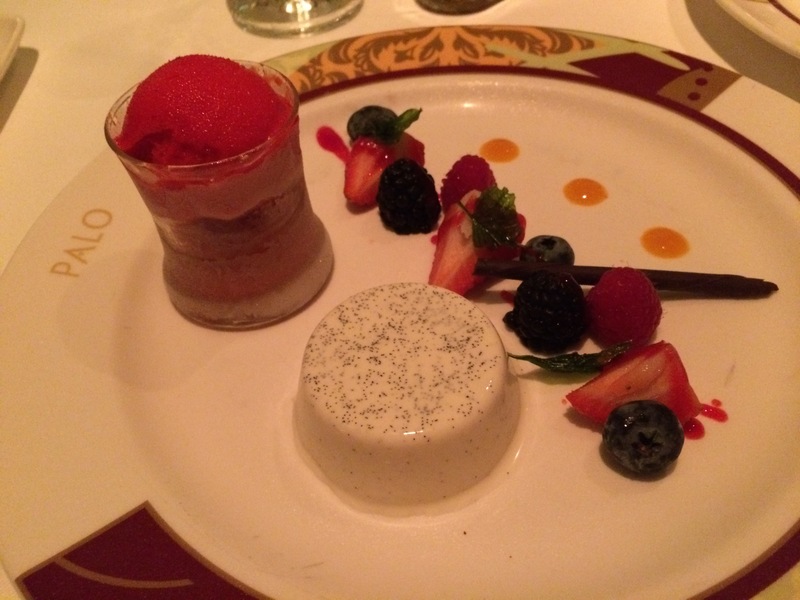 The plate featured vanilla panna cotta, berry basil limoncello sorbet, and fresh berries. It was almost unfair . . . to my stomach. But I powered through because this was literally phenomenal. 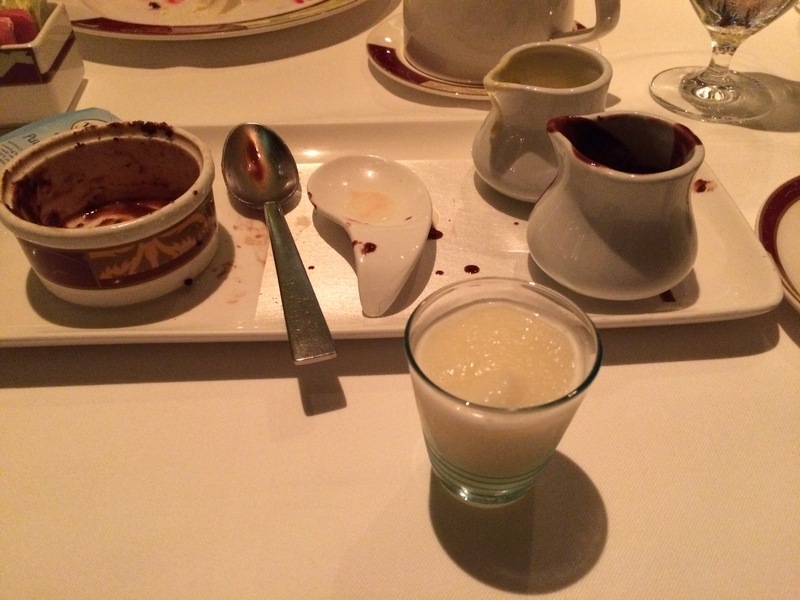 The purpose of this final picture is a) to show I finished the soufflé, and b) to show the FINAL flourish of the night – a shot of lemon sorbet with champagne and apple brandy. If I wasn’t already blown away, this did it. So in conclusion, this was a fantastic meal that really was too good for words to describe. Despite the pain I put my stomach through this evening in stretching it to its limits, it was totally worth it, as every last bite was flawless and left me wanting more. 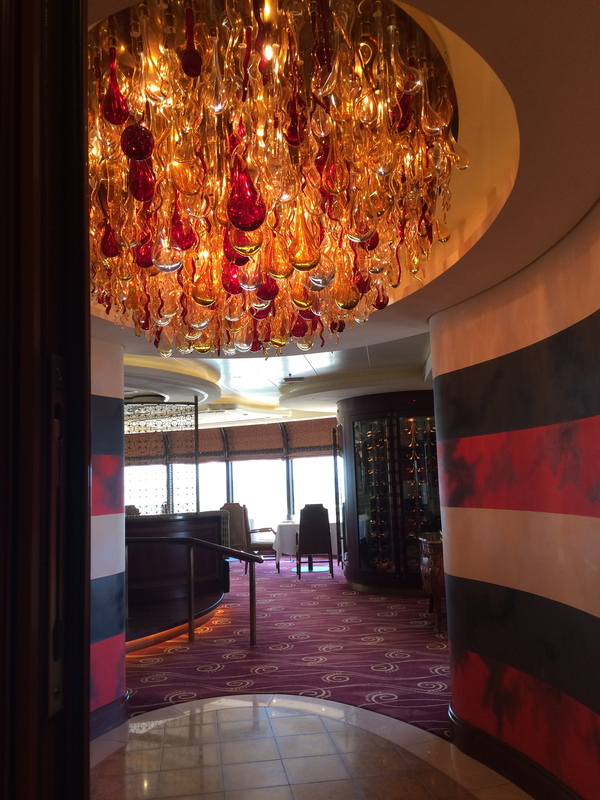 Bravo Disney Fantasy Palo chefs, Bravo. At the end of August, our family celebrated a family reunion in Philadelphia with all of our family members on our mom’s side. The main focus was my grandmother’s 88th birthday, as well as my uncle’s birthday and visit from Korea. Our aunt coordinated a beautiful and indulgent dinner for the family at Mise en Place, where the chefs prepared the meal right in front of us and explained the exquisite dishes to us as they went along. It was truly a meal to remember….